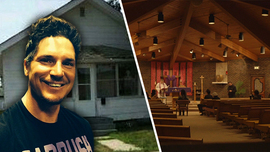 Zak Bagans Drops $50k for Glasses ... They're Now Off to Jail!!! Blood & Ashes Painting Reunited with His Teeth!! 'World's Most Haunted Object' is Mine Now ... But Don't Open It!! I Scored MJ's Propofol Chair!!! I Bought Dr. Kevorkian's Death Mobile! Zak Bagans -- I Scored Michael Jackson's Propofol Chair! 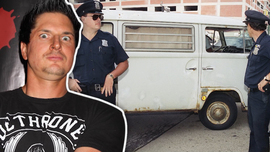 Zak Bagans Is Now The Owner Of Jack Kevorkian’s Suicide Van! Demonic Possession is for Real! !